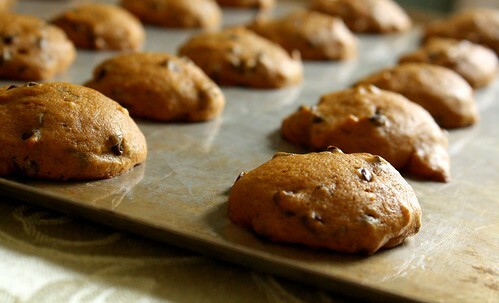 one of our favorite recipes for fall is pumpkin chocolate chip cookies. these are wonderful little bites of heaven, so super-soft that they are reminiscent of muffin tops. a delightful combination of pumpkin pie and chocolate. we store them in the fridge, but they don't last long. 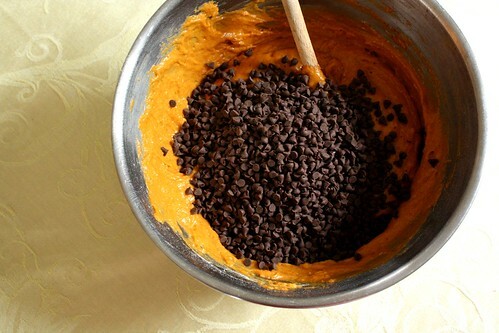 combine pumpkin, sugar, vegetable oil and egg. in a separate bowl, stir together flour, baking powder, ground cinnamon and salt. dissolve the baking soda with the milk and stir in. add flour mixture to pumpkin mixture and mix well. drop by spoonful on greased cookie sheet and bake at 350 degrees for 10 minutes or until lightly brown and firm.